I have figured out the answer to the American education crisis. We need to build Koro-sensei. Look at this honed killing machine who uses everything in his power to make school better for students. 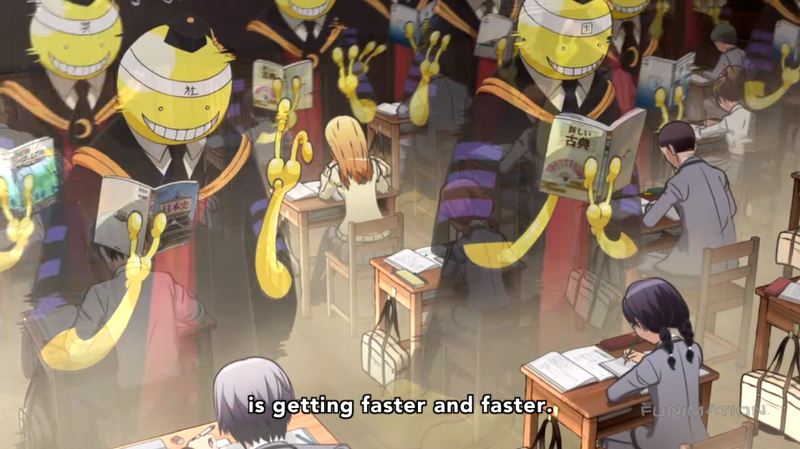 Koro-sensei is the best teacher not just because he has supernatural powers, but because he used them alongside actual proven teaching techniques. 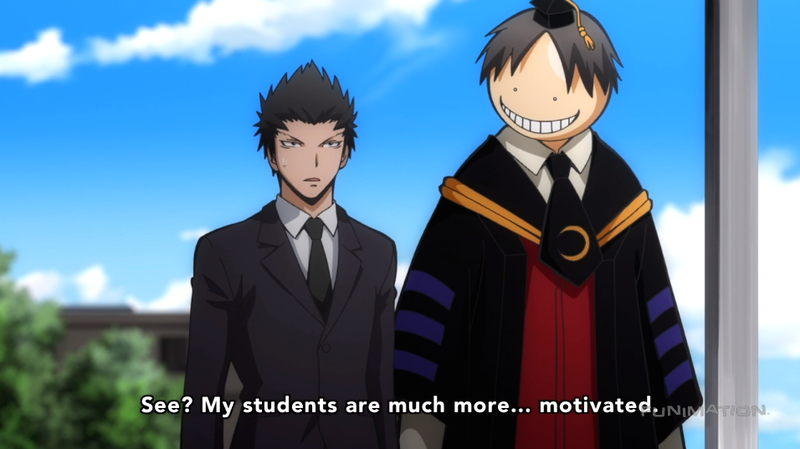 When I was watching this show while going through my teaching program, my jaw hit the floor more than once when I saw that this anime about students trying to kill their alien teacher to save the world also showed things that I was learning at that very moment. Screenshots are from Funimation.com. 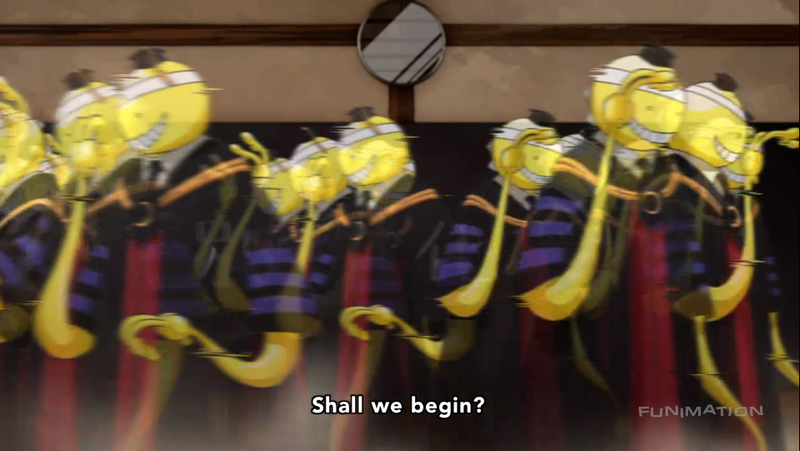 Please support official simulcasts. Want to support posts like this one? Check out Subdued Fangirling's Patreon! Backers get to vote on which series I cover and photo previews on figure reviews! Thanks for looking!